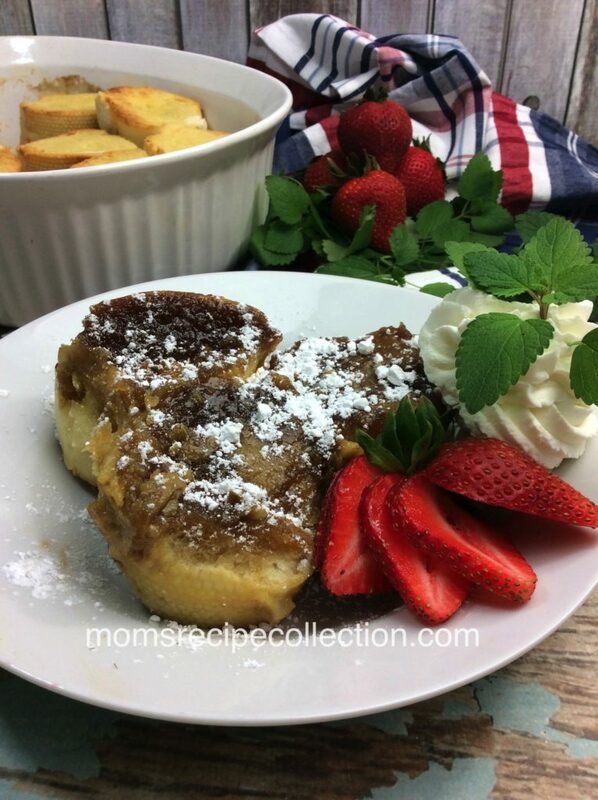 Easy cinnamon french toast recipe made in the oven instead of the stovetop! How do you make the perfect french toast? Well we’re going to teach you how to today! 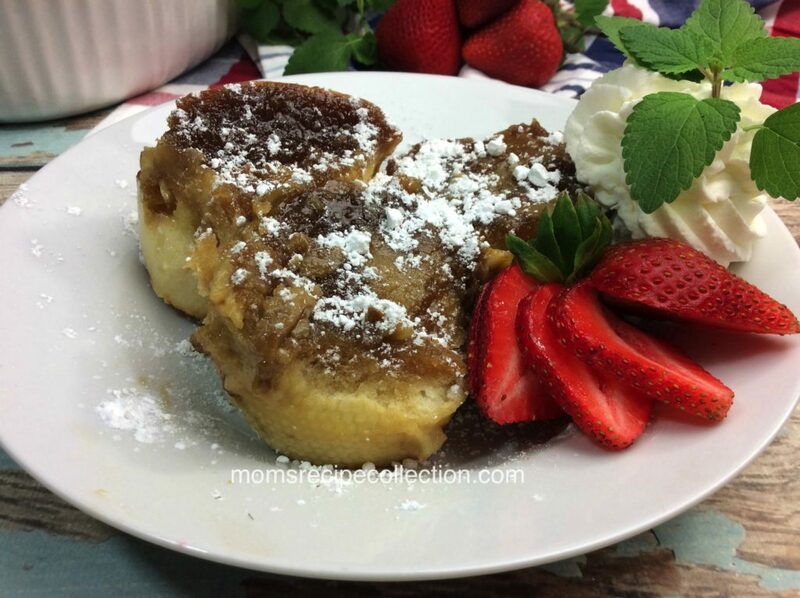 Within this post we’re going to share our recipe for easy cinnamon french toast! Unlike many french toast recipes, instead of using regular bread, we use actual french bread for this particular recipe. Also, instead of making the french toast on the stovetop, we make it in the oven. I guess you can technically call this a french toast bake. FYI- This simple french toast recipe can easily be made ahead of time, and baked the next day. Just make sure that you properly store it! Share this recipe on Pinterest, and be sure to join our mailing list. This easy cinnamon french toast recipe is delicious and made in the oven instead of the stovetop! Slice the french bread loaves in small chunks and place in a baking dish. In a large bowl, whisk eggs together. Add half & half, vanilla, and salt, then stir till combined. Add your butter to a saucepan and melt over medium heat. Add the brown sugar, ground cinnamon, and corn syrup to your brown sugar and mix until combined. Remove cinnamon brown sugar mix from the heat and pour into a 9x13 baking dish. Make sure to evenly pour all over the bread. place the french toast in the refrigerator overnight. When serving your french toast cut your desired portion and flip it over so the caramelized side is on top. Serving size will vary based on size of bread loaf.